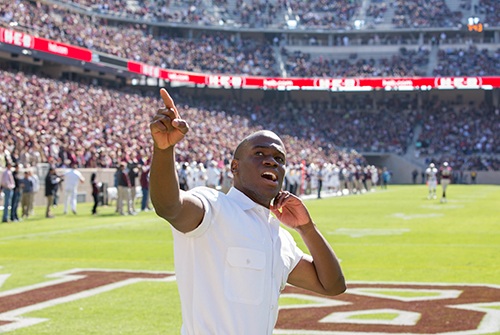 Shaquille Gould '15, a former Yell Leader, accelerated his career growth by participating in the Hollingsworth Center for Ethical Leadership. Shaquille Gould ’15 always had potential. 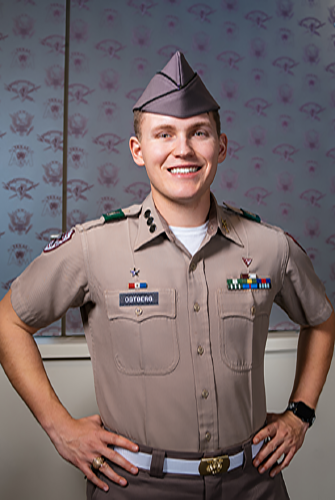 Native to the island of Antigua, Gould was an early standout in Texas A&M University’s Corps of Cadets, where he received the Most Outstanding Freshman Air Force Cadet Award and the Warrior Spirit Award. Not surprisingly, he moved into a number of Corps and campus roles as a sophomore, priming him to grow exponentially as a leader during his final years at Texas A&M. That’s when Gould was introduced to the Hollingsworth Leadership Excellence Program. 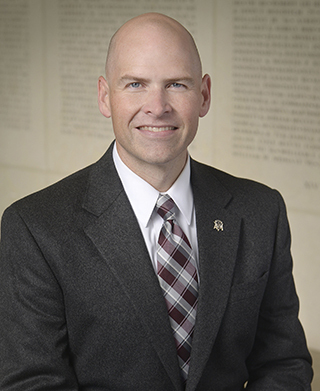 The program helped Gould, who also served as a Yell Leader, delve into leadership theory and concepts in the classroom and then apply and practice those lessons on the Quad. He has gone on to apply those lessons in his professional career during stints with PepsiCo, Google, several startups and Quake Capital Partners, a venture capital group. “The Hollingsworth Program greatly accelerated my progress and growth professionally,” he said. The program has such potential that Commandant Brig. Gen. Joe Ramirez Jr. ’79 has made the recently reclassified Hollingsworth Center for Ethical Leadership one of the Corps’ top philanthropic priorities. The Corps also plans to expand the program’s work in developing leaders of character who are deeply immersed in all aspects of leadership and understand how to lead individuals, teams and organizations. The center is an expansion of the Corps Leadership Excellence Program, created in the early 2000s. The program was named in memory of Lt. Gen. James F. Hollingsworth ’40 in 2012, thanks to an endowment created by his family. 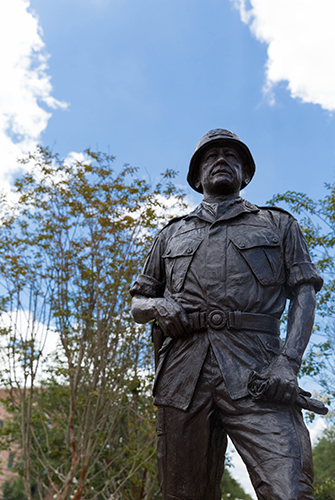 Hollingsworth, who was considered by many to be the most decorated Aggie in Texas A&M history and a 1980 Distinguished Alumnus, participated in seven major campaigns during World War II, served in combat in both the Korean and Vietnam wars, and was liaison to the chief of staff in Washington, D.C. The Hollingsworth Program was named in memory of Lt. Gen. James F. Hollingsworth ’40 in 2012, thanks to an endowment created by his family. Hollingsworth was considered by many to be the most decorated Aggie in Texas A&M history. The Hollingsworth Program, led by Founding Director Richard Cummins ’73, was tasked with creating leadership development opportunities for Drill and Ceremony (D&C) cadets, students who elect not to pursue a military commission. (These cadets currently make up about 55 percent of the entire Corps.) Cummins and his staff developed four courses as well as some initial experiential opportunities. The program also began hosting two conferences: the Intentional Leadership Conference and the Nichols Rising Leaders Conference. In addition, the Hollingsworth Program created the Certificate in Leadership Study and Development, an academic credential recorded on the student’s official transcript. This certificate required students to study, have experience with and apply leadership theory, knowledge and skills. The Hollingsworth Program also began focusing on career readiness through incorporating the National Association of Colleges and Employers’ core competencies (teamwork/collaboration, professionalism/work ethic, leadership, critical thinking/problem solving, global/intercultural fluency, career management, digital technology, and oral/written communication skills) into its offerings. To that end, retired Air Force officer Col. Kenn Allison ’85 was hired to oversee the program’s career readiness efforts and continues to work in partnership with Texas A&M’s Career Center to assist cadets in translating their Corps experiences for a potential employer. Cummins’ retirement in 2016 led to a reassessment for the vision of Hollingsworth Program. His replacement, Dr. David Keller ’07, was given approval to begin expanding the program’s portfolio. One of Keller’s first efforts was transforming the program into the Hollingsworth Center for Ethical Leadership within the Corps of Cadets and developing numerous programs. 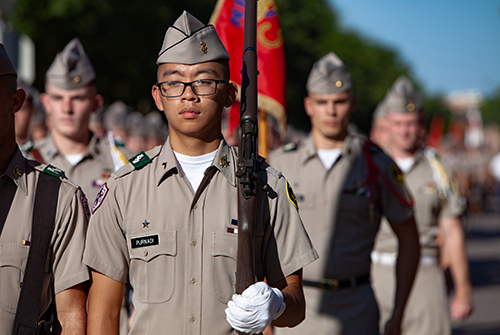 The center still primarily serves D&C cadets, but also encourages other cadets—including the broader Texas A&M community—to take part in the center’s offerings. In addition, some students from other Texas A&M University System institutions participate in the center’s conferences. The center’s team also plans to create new programs and services and develop the scaffolding to expand the program. The Hollingsworth Center for Ethical Leadership is helping cadets reach their leadership potential through programming that teaches students how to lead individuals, teams and organizations. The next step, which is currently underway, involves mapping all core activities to the developmental model. This process will help the Corps develop a more robust collection of clearly defined outcomes and objectives and also create appropriate assessments to ensure outcomes and objectives are being achieved. The center continues to offer career readiness support to cadets, including internships and job assistance. More than 90 percent of graduating seniors who have participated in the Hollingsworth Center have secured employment, been commissioned into the military or entered graduate school. Students have been hired by a wide range of major organizations, including NASA, Schlumberger, The Walt Disney Company, ExxonMobil, Southwest Research Institute, Lockheed Martin and HEB. Joshua Ostberg '19 currently participates in the Hollingsworth Program. He believes it has given him a tremendous advantage as he prepares to enter the workforce. The Hollingsworth Center is continuing to look for ways to create opportunities for current cadets to delve even more deeply into leadership philosophy and ethics. For example, classes look at different types of leadership styles and analyze the effectiveness and traits of these types of leaders. In addition, cadets learn about enhancing decision making processes and how to use various ways to make excellent decisions. While the Hollingsworth Program receives funding from an endowment established by Gen. Hollingsworth’s family, additional funds are needed as the Corps grows. Endowed gifts of $25,000 or more could fund corporate training opportunities and events, innovative classroom technologies, and more lectures by experts in industry, nonprofit and entrepreneurial sectors. Funds would also address the short-term need for additional staff to advise cadets and help the program achieve its vision as it evolves. To learn how you can support the Hollingsworth Center for Ethical Leadership, contact Tom Pool ’96 below.